Sections of rural society are still using wildlife – especially badgers – as scapegoats on which to blame all their frustrations and resentments, warns Paul Evans. A few miles north of where I live in Shropshire, the bodies of two badgers were recently X-rayed and found to have been shot before they were dumped on the roadside. This confirmed a long-standing rural myth that badgers are slaughtered illegally and made to look like road-kill. For all its current standing as a protected species and an emblem of conservation, the badger has been the victim of human aggression for centuries. 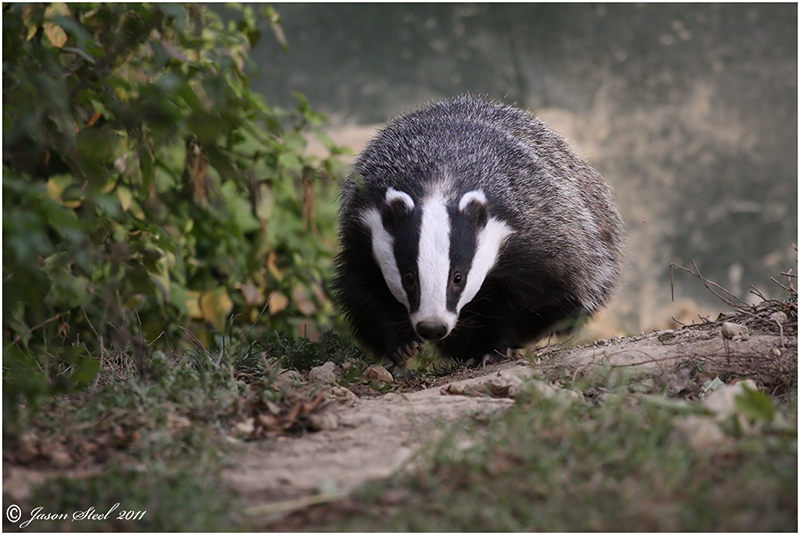 However this violence has been meted out – whether baited with dogs for sport, shot or gassed for trespass and fear of disease – the indigenous badger is also admired for its qualities of resilience, fortitude and independence, and its victimhood marks a kind of cultural ownership. Forget the middle-class whimsy of The Wind in the Willows; it’s as clear as the white marks on its face: the badger’s role as a scapegoat persists. And the badger is not alone. Foxes, buzzards, cormorants, hen harriers and eagles have all, in recent years, become bearers of sin, and targets for suffering. Although violence against wildlife may appear to be old-fashioned prejudice dressed up in business and sporting interests, something else is going on as well. Bovine tuberculosis (bTB), for instance, has propelled an old prejudice to the fore. 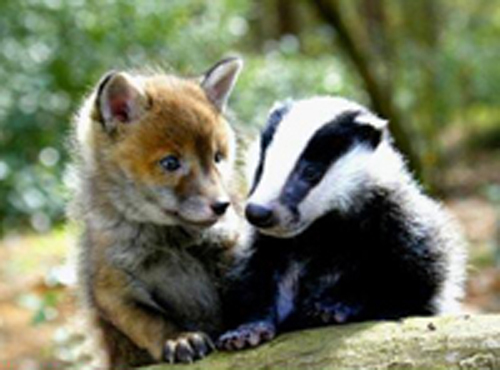 Since achieving legal protection, the badger population in Britain has increased to unprecedented levels. Some see this as a damaging overpopulation, while others claim it’s a natural response to reduced persecution; but what is happening in the bTB scandal is a reassertion of the feudal ownership of wild Nature. “Bearing down on wildlife” was the phrase used in the House of Commons by Owen Paterson, the UK government’s environment minister. In repeating the argument that controlling bTB in cattle required controlling the badger population, Paterson revealed an attitude to Nature that betrayed a much deeper and insidious practice underlying the plan for a fix to a terrible agricultural problem. Although public pressure may have shelved the planned 2012 badger cull – perhaps semi-permanently – the ‘bearing down’ will continue beneath the radar of public scrutiny. “If only they’d kept quiet about it, we could have kept the badgers under control and sorted the problem out, and nobody would be making a fuss,” is a frequently overheard sentiment in many pubs in rural England. Those who want the ‘bearing down’ believe they have every right to do so – this is their land, their wildlife. Such people see this right opposed by sentimental townies who simply don’t understand the realities of the countryside. However, political manoeuvrings to weaken or remove those environmental protection laws that are seen to impede business interests are increasing. It’s clear too that a badger cull – badgers are protected by UK and EU legislation – was also intended to test these laws, making the statutory body responsible for protecting wildlife the same as the licensing authority that sanctions its slaughter. Overwhelming public opinion opposed the cull and this will further convince a rural minority that they are the victims in all this. Still smarting from the ban on fox hunting, still suffering from the trauma of foot-and-mouth disease and the medievalist pyres that supposedly cured it, and still exposed to ever-depleting services and a repopulation by incomers with different values, sections of rural society are using wildlife as scapegoats for their frustrations and resentments. A few high-profile court cases about the poisoning of hen harriers, goshawks and eagles on the moors; a few tragic incidents of people being shot by lampers (where foxes are startled by high-powered torches and shot); a few badgers disguised as roadkill: these are examples of a much more widespread phenomenon. Wildlife – loved by the majority – has in some parts of Britain become symbolic of the interests of an elite and aroused a culture of cruelty and of transferring resentment onto ‘vermin’. This will not be solved by a few criminal convictions and talk of education but by standing up for Nature and dealing with the relics of feudalism, social inequalities and opportunities for rural communities. Paul Evans is a naturalist and broadcaster.